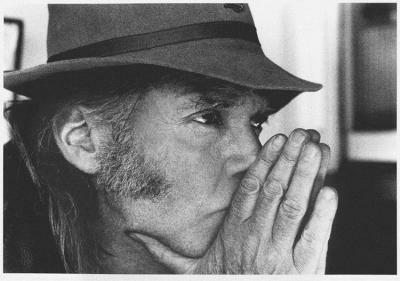 I’d like very much to praise Mr Neil Young for this pertinent return to the protest song, which not only Americans are very much in need of, but the rest of the world as well.For more than two decades we’ve been assailed by fakeness both in art and politics. Just think of all the staff on our tv screens.Every day it seems more and more obvious that our fate is really put in the hands of fools, that justice is no more than a game and the U N resolutions are just a pig circus. This album brings, through its straight forwardness, the real concerns committed art should be about.The American laymen should be addressed in such fashion to make them aware that they’ve been blackmailed under the name of freedom, justice, democracy and likewise slogans. The plain truth is that the present American president and its administration have used more 300 million good hearted people to seed and water trouble and anarchy throughout the whole world. When will the chimes of freedom toll?